Alhambra Slip and Fall Accident Attorney No matter how little a fall is, there’s a probability that it would lead to further complications and a lifetime of adjusted living and inconvenience. Every day, thousands of people all over the world encounter near-death experiences and most times gain permanent impairments as a result of a slip and fall accident. Outside of the obvious need for medical care, there is a crucial step that is recommended you take in the event of a serious slip and fall accident, which is the involvement of a credible attorney. Yes, you need a capable slip and fall accident attorney that would be able to analyze the circumstances of your fall, estimate your rights in the light of the incident and help gain for you sufficient attention and settlements from those responsible by ensuring justice is served. Thankfully, Rawa Law Group has a hub teeming with top class lawyers ready to take on your case. Rawa Law Group is a league of executive and highly competent legal representatives present here in Alhambra, CA. 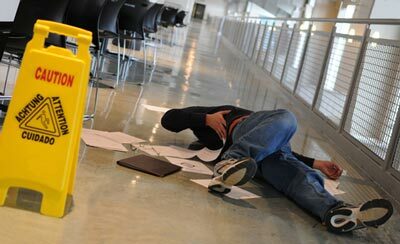 If you are looking for a competent slip and fall accident attorney in Alhambra, CA our team of lawyers is ready to step in. We have an experience gathering of over 55 years combined with attorneys and legal professionals who are some of the nation’s most renowned voices in the sector. We will ensure that your condition is evaluated promptly and objectively, that you are treated as an actual human being and not merely another case number by making available counseling sessions made to your convenience and according to your schedule. Also note that you do not need to make any financial commitment, not until we win you adequate compensation, that is. Take the time to contact us today, we would be waiting!